A contemporary terrorism thriller featuring the emergence of a secret vigilante group in the most senior levels of the U.S. government’s counter-terrorism community. They have gone rogue and, despite their seniority in the CIA, FBI, and/or JSOC, have succeeded in remaining under the radar screen. The government can’t stop the terrorists. And now, can they discover and stop the vigilantes? Do they even want to? Should they? 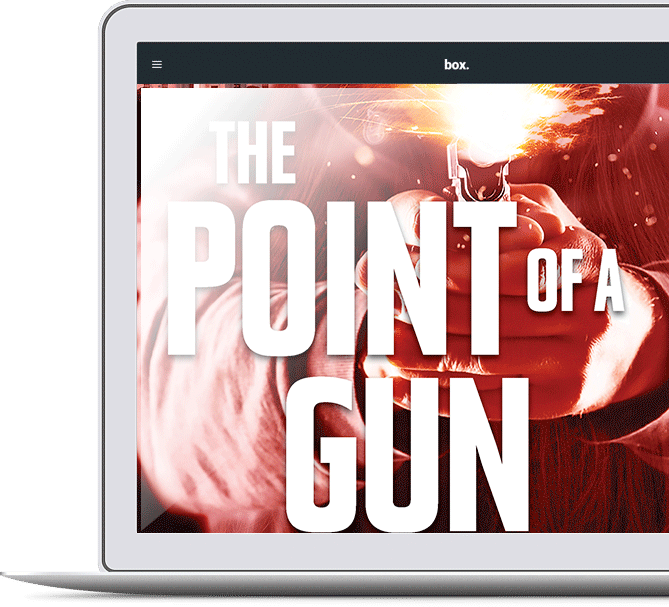 A novel of action and intrigue led by compelling leading characters, The Point of a Gun examines the role of citizen action in a society that seems incapable of protecting its citizens.